Batgirl's super power is her determination, training, and intelligence -- and now young fans of the DC Super Hero Girls can dress up as her in this deluxe costume set from Princess Paradise! 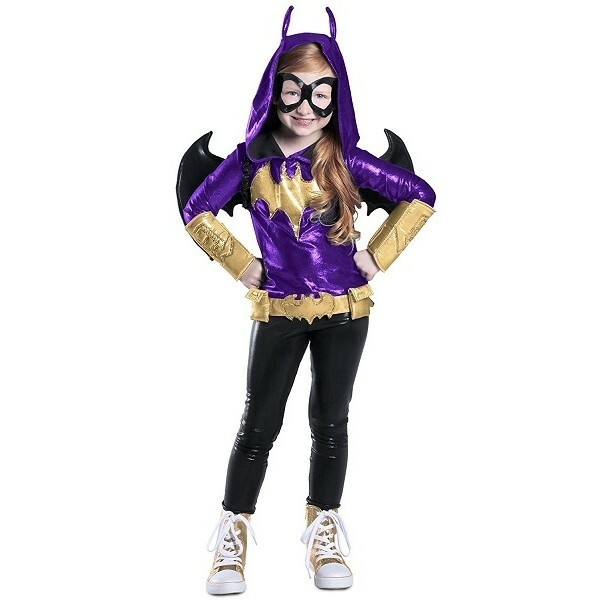 A shiny purple hooded top features the bat insignia in gold on the chest so it really stands out; the removable belt includes pouches for all her gadgets. Leggings, wings, and an eye mask complete the look for a super Halloween!